With its integrated motor assist (IMA) system installed in a small passenger car, Honda seeks to attain an outstanding fuel consumption rate of 3.31 L/100 km of gasoline on Japan's 10/15-cycle urban test-mode. The IMA comprises a VTEC variable valve timing/lift, direct-injection, lean-burn, inline three-cylinder, 1.0-L gasoline engine; a brushless dc motor/generator; a continuously variable pulley/belt type transmission; power drive unit; and ultra-capacitor. 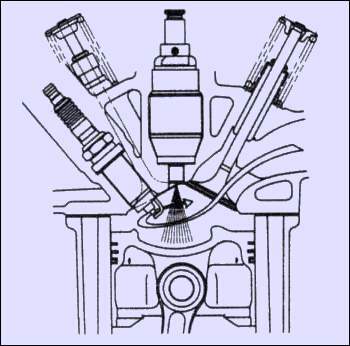 A high-pressure fuel injector is placed centrally and sprays fuel into a piston cavity. VTEC is used to generate powerful swirl in the combustion chamber, as hinted by Honda in its limited release of technical information. The engine is the system's primary power source, which is "assisted" by the electric motor. Moving off from stand-still is accomplished through engine power, as demonstrated in a production Logo small car. The motor comes to its assistance on acceleration. Further, the electric motor acts as a balancing unit, providing opposite-phase torque input to offset the inline three-cylinder engine's inherent torque fluctuation. No mechanically driven balancer is fitted on the engine. The motor regenerates electricity on deceleration. According to Honda, the IMA's combined performance matches that of a typical gasoline 1.5-L engine. 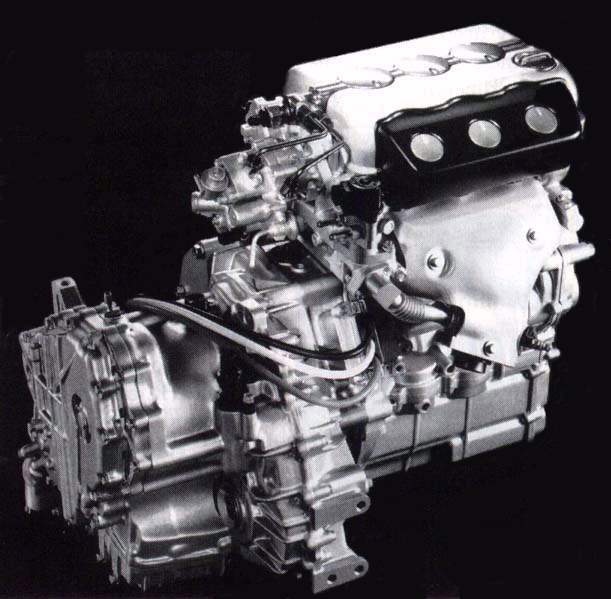 Honda's Multi-matic CVT transmission is employed to split and transfer the engine's and electric motor's torque outputs. For electric energy storage, Honda places high hopes on the ultra-capacitor, a dual-layer condenser that facilitates output and storage of electricity. The IMA is undergoing test programs in a fleet of Logo small cars, and is featured in the J-VX two-seat concept coupe shown at the 1998 Tokyo Motor Show. System layout of the IMA.